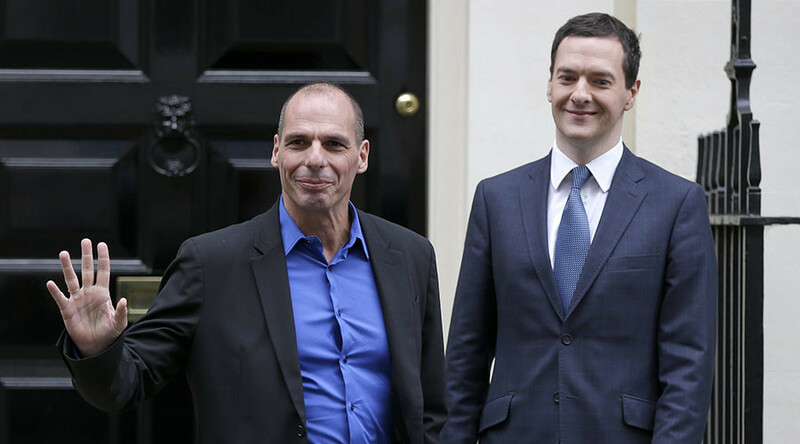 Leftwing economist Yanis Vaourafkis lashed out at austerity-advocate George Osborne on Thursday, after the Chancellor dubbed the former Greek finance minister “Chairman Mao,” alleging he knew little about economic security. Both the Chancellor and Prime Minister David Cameron chided the Labour Party over its links to Varoufakis and left-leaning journalist Paul Mason during Prime Minister’s Questions (PMQs) on Wednesday. Addressing the Commons, Osborne took a break from lobbying against a Brexit to lecture Labour on economic policy. “The fact that the Labour Party is now getting its advice from Yanis Varoufakis and the revolutionary Marxist broadcaster Paul Mason does not suggest that they’ve got the answer to economic security,” he quipped. “That is Labour’s policy in two words: Acropolis Now,” he joked. The flagrant attempt to ridicule Labour’s economic policy proposals backfired dramatically, however, after Varoufakis offered Cameron and Osborne a particularly measured response. The ex-Greek minister for finance appeared to take great pleasure in pointing out that economic policy advisors linked to the Greek government are offering counsel to Britian’s ‘Remain’ campaign that is lobbying against a Brexit. “Michael Gove, Michael Howard and Boris Johnson are arguing – against you – for Brexit on solid intellectual grounds concerning the EU’s curtailment of your Parliament’s democratic sovereignty,” he said. Varoufakis went on to contradict Cameron’s claim he had left Greece’s economy in tatters, arguing the democratic will of the Greek electorate was crushed by the European Union last summer. “My ministry’s Policy Program for Greece, which Brussels pushed aside, I had put together with input from economic experts including Lord Lamont and Jeff Sachs,” he said. Mason, who had been christened “Mickey Mouse” and a “revolutionary Marxist” by Osborne during PMQs, also unleashed a few home truths. “I am happy to state that Mao was a despot whose policies killed millions; I look forward to hearing Mr Osborne say that on his next trip to China,” he said.